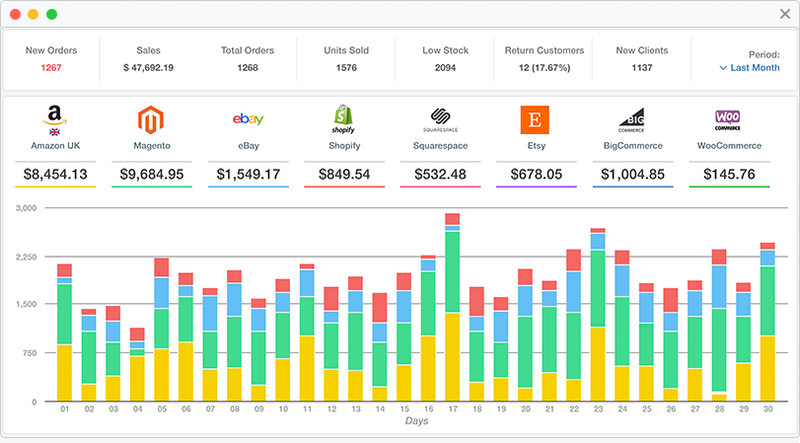 Restock products and track sales from a single place, across multiple sales channels. With Multiorders you can always check live data of your inventory. Check and Manage orders from multiple sales channels. Easily update orders status and tracking information. 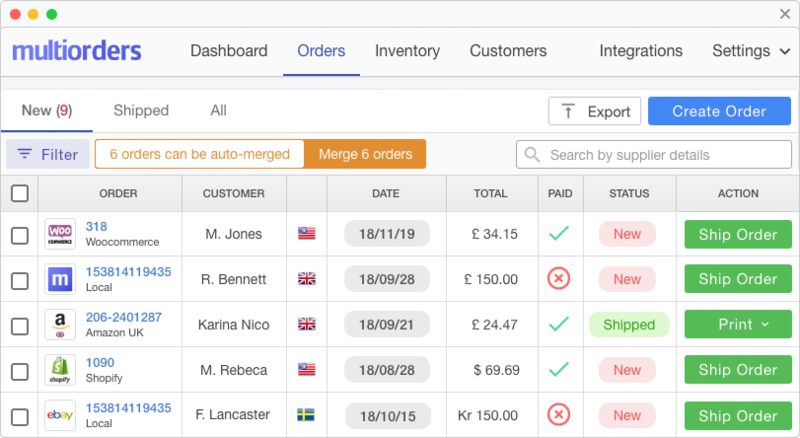 Check and Manage orders from multiple sales channels. Easily update order status and tracking information. 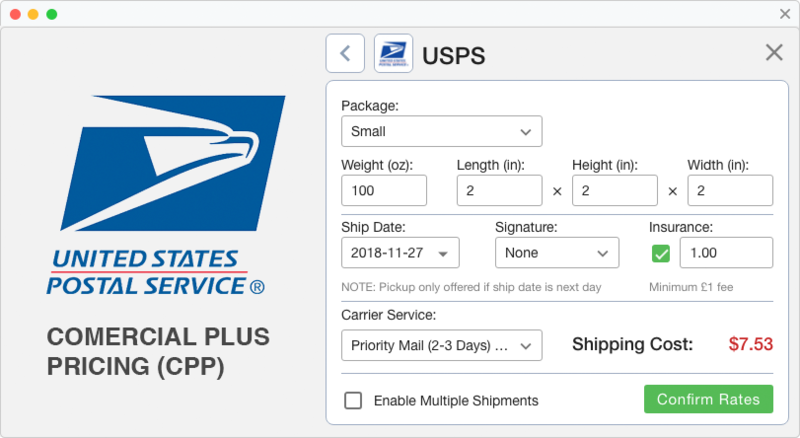 Connect multiple shipping carriers like UPS, USPS, Royal Mail and many more. Generate shipping labels for your orders in a matter of seconds. Assign products to suppliers and set buy price to see margins after sale. Generate purchase orders and automatically update inventory after you receive the goods. Connect Stripe and take payments for your local or phone orders. Create product bundles and automate inventory management. Simple solution to manage product sets. 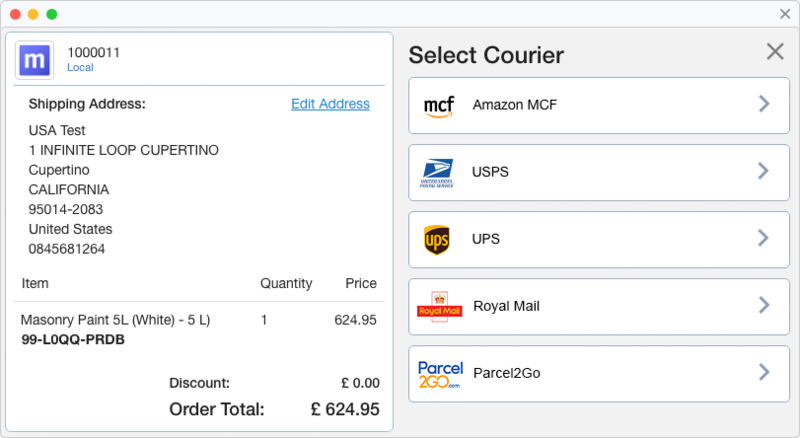 Print shipping labels with one click. Save time with shipping presets and bulk shipping options. Track your performance by generating custom sales and inventory reports for specific time periods and or sales channels. Track your performance by generating custom sales and inventory reports for specific time periods and/or sales channels. Integrate your Mailchimp account to automatically gather customer information and create marketing newsletter lists for specific marketplaces. Monitor Amazon FBA orders. Use Multichannel Fulfilment by Amazon (MCF) to fulfil orders from sales channels like eBay or Shopify. Automatically get the best available rates for all shipments with USPS Commercial Plus Pricing. Assign various custom roles to your team members such as Shipping or Inventory manager. Dedicate specific orders to select team members, further optimising workflow.